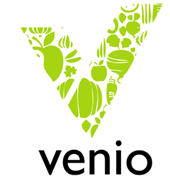 Toronto startup Ven.io is all about healthy meals, and healthy lifestyles. This new meal plan startup, helps users set up structured meal plans that are personal, scientific and valuable. Setting up your meal plan via Ven.io is a simple three-step system that learns your habits, tastes and dietary needs. This is a really great platform for those who have regular dietary constraints like diabetes and lactose intolerance. Ven.io can give you great suggestions for every meal that will help you reach all of your goals. The Ven.io team is an international tapestry of talent. In fact in our interview below they answered the questions about where they were based by saying they were Georgian and Iranian, and yes the headline is correct they live in Toronto. Their marketing guy Karim El Rabiey suggests that it’s this patchwork of different nationalities that creates a special flavor (you see what we did there) for the Ven.io team and the Ven.io product. They actually have one of the best about pages we’ve seen in a while, you should check that out here. We got to interview El Rabiey about Ven.io and how they’re unparalleled in the world of specialty meal planning platforms. Check out the interview below. Venio is your biggest health advocate. We provide an intelligent, healthy lifestyle solution, which generates an interactive meal-plan personalized around your taste, health goals, and dietary preferences. Over time our application evaluates and evolves the meal-plan by leveraging the user’s psychology, tastes and behavior to reach concrete health results – whether it’s losing weight, lowering your cholesterol, or finding the right meals to combat diabetes. Georgian and Iranian. Oh – not that type of background? Co-founders Jonathan Carr-Harris and Nima Gardideh have a complementary combination of skills starting from their friendship in high school. Jonathan serves as CEO with a strong focus on product management and customer validation. It’s very hard to end a conversation with him – he just wants to know your next thought, and you just want to know his next surprise announcement. Venio is his third start-up since attending McGill University for Economics. Nima serves as CTO and brings a formidable background in computer science engineering and product management. His first project was building an analogue clock on his computer when he was 8 years old and has been on time ever since. He worked as a Project Manager at Xtreme Labs, and went to the University of Toronto for Computer Science. We’re based out of Toronto, Ontario in beautiful Canada. Our office is in the King West area more specifically – come visit us! Let us know beforehand so that we can get you a slot on our ping-pong table. Toronto has an amazing startup scene. I moved to Toronto in July 2011, and within a few months was already validating and invalidating assumptions with complete strangers. Everyone has this drive to solve the world’s problems at a healthy pace. Lots of incubators, lots of accelerators, and a growing community of VCs and angels. The greatest thing is when you hear a success story that decides to stay in Toronto. Health is complicated. People actually worry more about their health than they do about their taxes. We are creating a way to simplify health so it’s based around your own body through machine-learning – and not around a standardized regime. Validation. Venio didn’t start off as Venio – we didn’t even have the same name. Through months of customer development, the initial idea was starting to get hammered into the ground. It was hard letting go, but when we finally buried that idea – we flourished with a greater idea. Our advisors have inspired us in ways that none of us could have imagined. We’ve gathered advisors from different areas of expertise – all coming together to help us reach our vision. They teach us when we need to be taught, they praise us when we do well, and they give us a good hit on the head if we’re veering off-track. We’re a mini-United Nations. Our team consists of 8 different nationalities that have all come together from crazy backgrounds. Seriously – each one of us seems like we’re trying to one-up each other with our backgrounds – but it’s all true! We also have mini language classes at times. Big things! We’re constantly going after new ideas, and seeing new ways to improve Venio. We’re currently hiring (jobs@ven.io) so that we can build the right team for our future. Let’s just say our future involves something mobile, and something to do with healthy restaurants….shhh.